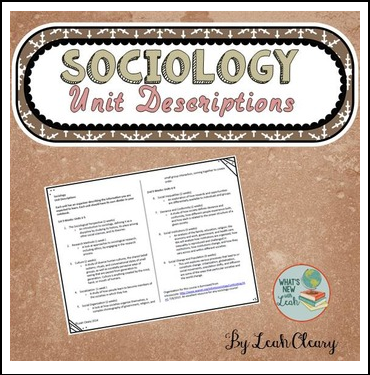 This free resource helps you organize your sociology course. At the beginning of any course, it’s great to give students a layout of what they will learn. Here’s a free one for high school sociology. It’s a nine unit layout based on Introcite’s, National High School Sociology, suggestions.